AROOSTOOK COUNTY - Just in time for World Acadian Congress tourists to enjoy, the new Aroostook County Tourism (ACT) Visitor Guide is hot off the press and out for distribution in The County. Usually the tourism guides are printed in early October, but this year tourism officials moved up the timeline so the publication will be ready in advance of the big event. The World Acadian Congress is a major celebration of Acadian culture and history held every five years since 1994. From Aug. 8-24, more than 300 activities, including more than 100 family reunions, should attract up to 50,000 visitors to the region, which encompasses northern Maine, northwestern New Brunswick and southeastern Quebec. Visitor Guides are available at the Northern Maine Development Commission office in Caribou. This is the third year of a three-year contract with Direct Display Publishing, based in Bath, to publish the guide. 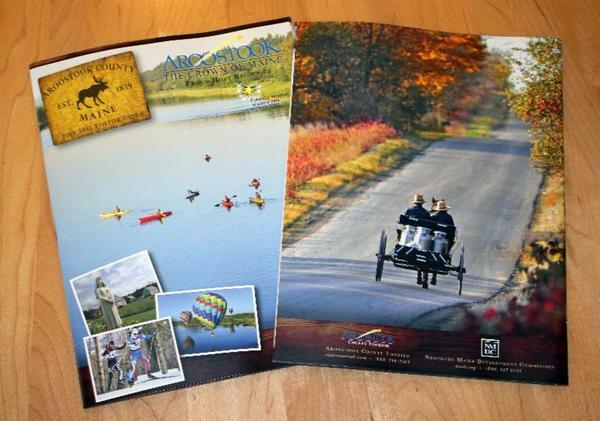 "The Visitor Guide contains information on all the wonderful things Aroostook County has to offer with topics including, but not limited to, cultural, historical, recreational, hunting, fishing, motorized and non-motorized activities, lodging, dining and events," said Jon Gulliver, regional tourism developer for Northern Maine Development Commission (NMDC). "There is also some beautiful photography, courtesy of Paul Cyr and other talented photographers in the region." The guide provides free general listings including the name, location, phone number and website of tourism related businesses. However, the guide also provides advertising opportunities for businesses who would like to capture the attention of a guide user who just might be flipping through the book. 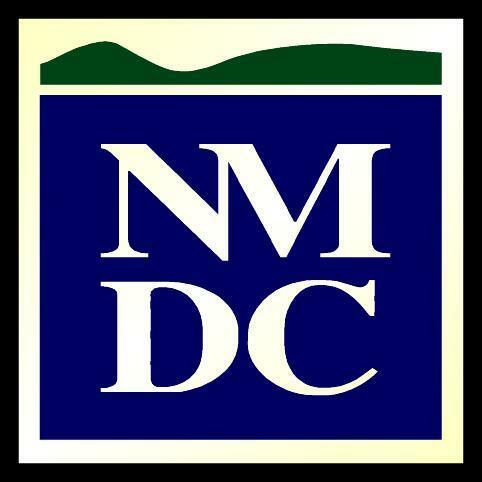 Guides are available at NMDC in Caribou and are being delivered to chambers of commerce, hospitality businesses and advertisers over the next two weeks. 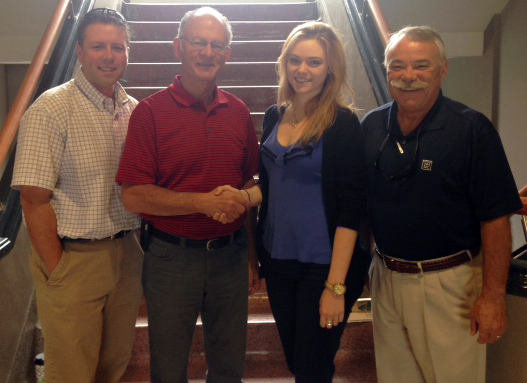 Dave Rossignol, second from left, was named coordinator for the upcoming Export Conference during the CMA 2014. Also shown, from left, are Ryan Pelletier, Director of Economic and Workforce Development NMDC; Rossignol; Katherine Cyr, Economic Component Coordinator CMA 2014; and Alain Ouellette, Planning and Development Division Director NMDC. FORT KENT - A well-known businessman in the St. John Valley has been tapped to coordinate the Export Conference being held as part of the economic component of the Congr mondial acadien 2014. Dave Rossignol, former President and CEO of NorState Federal Credit Union, will serve as the point of contact for the two-day conference at the University of Maine at Fort Kent Aug. 19-20. "Dave has extensive contacts throughout the St. John Valley and Aroostook," said Ryan Pelletier, Director of Economic and Workforce Development Northern Maine Development Commission. "In the last few weeks before the event, the organizing committee wanted a physical presence to shepherd the event to success. We know he will be an excellent event coordinator." The agenda for Export Conference: Exploring the Opportunities will begin with a reception late afternoon Aug. 19. The next day features B2B2GO business connections; a keynote speech on fostering US/Canada trade relations with Senior Trade Commissioner, Canadian Consulate General in Boston, Therry Weissenburger; an exploration of business opportunities in Maine, New Brunswick and Quebec; top 10 exporting do's and don'ts; and panel discussions on customs, regulations and brokerage houses. The conference concludes with exporter testimonials, success stories and questions and answers. During the August event several economic seminars, conferences and summits will be held to help grow the economy of the three regions, northern Maine, northwestern New Brunswick and the Temiscouata, Quebec. Topics include a forestry seminar, business plan competition, agriculture and agri-food conference and a final economic summit, which wraps up the entire economic component of the Congress. The World Acadian Congress is a major celebration of Acadian culture and history held every five years since 1994. In 2014 from Aug. 8-24, more than 300 activities, including more than 100 family reunions, should attract up to 50,000 visitors to the region. The estimated economic impact is $55-million, but organizers want to make sure the ripple effects last for many years after the Congress closes. More on the conference or registration information is available online at www.cma2014.com/en/economique/conference-sur-l-exportation or at www.appme.org. AROOSTOOK COUNTY - The donors, architects, officials from the Maine Community College System and the public were on hand Wednesday, July 30, to celebrate the grand opening of the Rodney Smith Wellness and Akeley Student Center on the campus of Northern Maine Community College. Support for the $6.4 million project was provided primarily from Mary Smith, a Presque Isle native whose husband Rodney passed away after achieving great success in the semi-conductor industry. Her gift prompted more donations to complete the work from foundations and private business donors in Aroostook and beyond. To highlight the naming of the centers, Smith unveiled a plaque commemorating her parents Robert V. and Hope Greenlaw Akeley and another of Rodney Smith. Major donor Mary Smith (front right) sits with Northern Maine Community College President Tim Crowley during the grand opening of the Rodney Smith Wellness and Akeley Student Centers. Plaques honoring Smith's late husband Rodney, and her parents Robert V. and Hope Greenlaw Akeley were unveiled during the celebration. Corporate donors for the construction project include (standing) from left: Gregg Collins, SW Collins; Matt Noyes, Aramark; Brian Hamel, former MCCS Trustee; Matt McHatten, MMG Insurance; Vicki Smith, Katahdin Trust; Mike Kelley, Sr., TD Bank; Tanya LaPointe, Key Bank; Pete St. John, Katahdin Trust; Sylvia Getman, TAMC; Bob Clark, Chair, MCCS Board of Trustees and Executive Director NMDC. 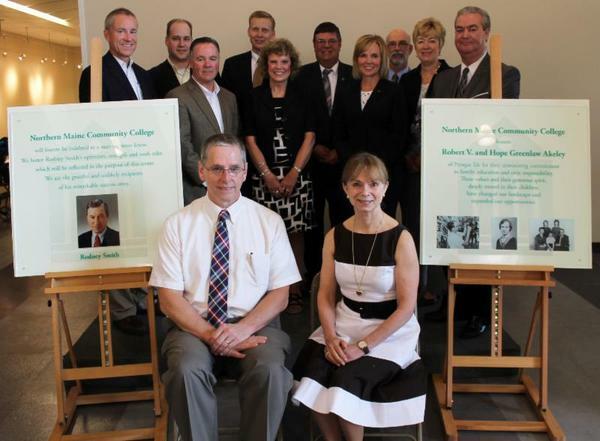 The Foundation for Maine's Community Colleges, MMG Insurance, The Aroostook Medical Center, Katahdin Trust, Houlton Regional Hospital, York's of Houlton, TD Bank, SW Collins, Cary Medical Center, Key Bank and the Maine Community Foundation were also major contributors. The construction for the new and renovated space got underway in December 2012 by J.P. Martin and Sons Construction Corporation of Caribou. "This venture has had a considerable economic impact over the last year and a half," said Tim Crowley, NMCC President. "But more importantly the purpose is to improve the health of the future workforce-our students-as well as the current workforce from the surrounding area that chooses to use this state-of-the-art wellness facility." "The Wellness Center is one of a kind across the seven campus Community College System and is a significant contribution to the community in meeting the needs of the workforce system for the health and well-being of its employees," added Bob Clark, chair of the Maine Community College System board of trustees and Executive Director of NMDC. 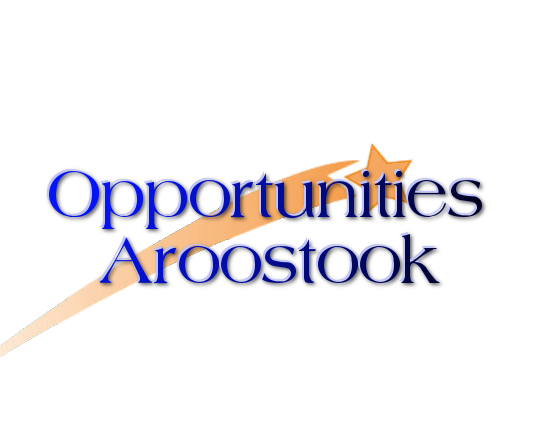 NMCC and many of the donors are members of the Aroostook Partnership for Progress.